Due to pollution, stress, and excessive makeup, our skin becomes damaged at a very young age. So we are constantly in search for skin care products that will help improve our skin, especially cleansers. We need a product that cleanse the pores well, so that we can avoid breakouts. whether you cleanse your face with a soap bar, cleansing foam or clean, soap is the essential ingredient that makes your face cleanser do it’s job of removing makeup and dirt. There’s a plenty of soaps out there in the market, but a lot of them contain chemical ingredients that can harm your skin. so what can we do? Make our own,natural soap that suits our all skin types. 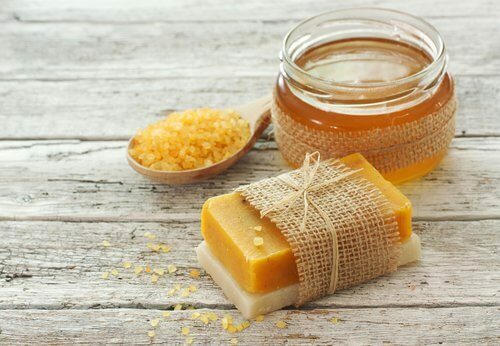 We’re gonna show you how to make carrot and honey soap, two ingredients know for their amazing properties. Honey and carrot are well known for their anti-aging and hydrating properties.the antioxidant properties provide the skin with extra protection from the damage caused by UV rays and environmental pollution and help repair damaged cells which prevent fine lines or wrinkles. Giving you a youthful glow. Give you that sun kissed tan without facing the sun. 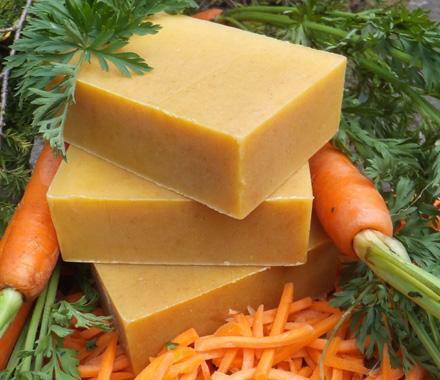 How do you make homemade carrot soap? Prepare the ingredients, Before starting wear safety gloves and use wooden utensils, and start the process. In a glass container, mix the carrot purée, water, sodium hydroxide until everything is incorporated. Then add salt, and let it cool for 45 min. Mix your coconut, almond oil and glycerin, add them to the cooled mixture. Using a stick blender, blend the mixture until it becomes thick, then pour it into silicone molds and leave it until it hardens. Once solid, you can use them.